Divisional inspections are a yearly occurrence for all St.John Ambulance Divisions around the country. It can be a stressful time for management members in the Division as accounts are balanced off and structure of meetings examined. We at Foxrock would like to especially thank Acting Superintendent Stephen Howett and Acting Second Divisional Officer Graham Knight for all their dedication and hard work at running our successful Division. Thankfully here in Foxrock, we have a very experienced management team running our Division to its full potential. Our Members were all able to attend and show of some of their wonderful trophies and cups from throughout the year. The Inspecting Officers District Officer Vincent Howard and Staff Officer Pat Keogh were able to attend and experience some St. John Foxrock first aid as well as being able to offer advice about different treatments and some experiences that they themselves encountered during their service. Some of our newer members had the chance to discuss the service medals and what they represented and how they can be achieved through hard work and dedication. 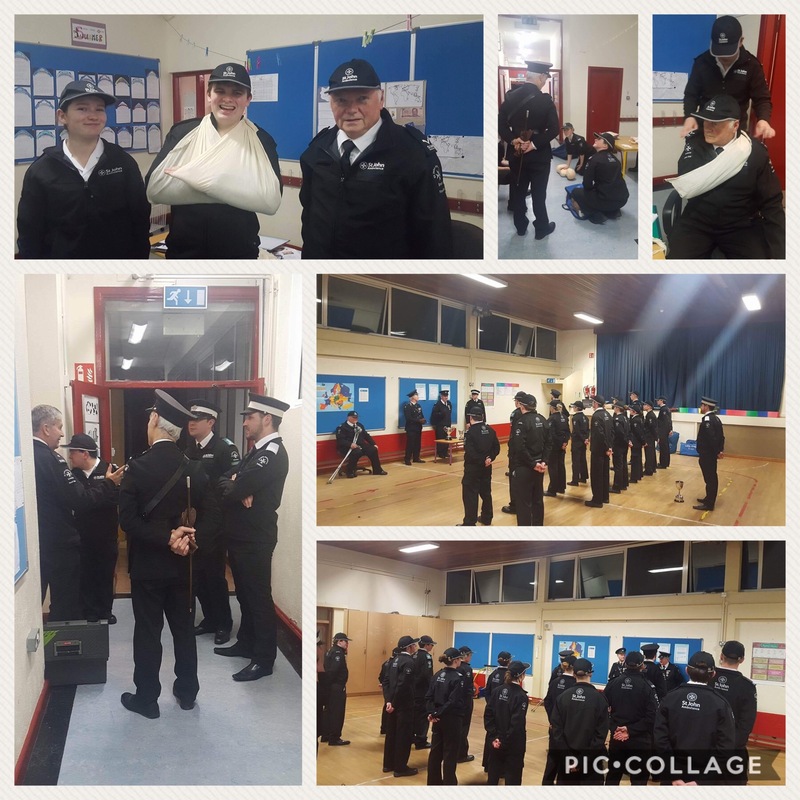 Overall we found the night to be an enjoyable evening and hope that District Officer Howard and Staff Officer Keogh feel they can drop in at anytime in the future and Foxrock Division will still be living up to it’s excellent standard and reputation in St. John Ambulance Ireland.